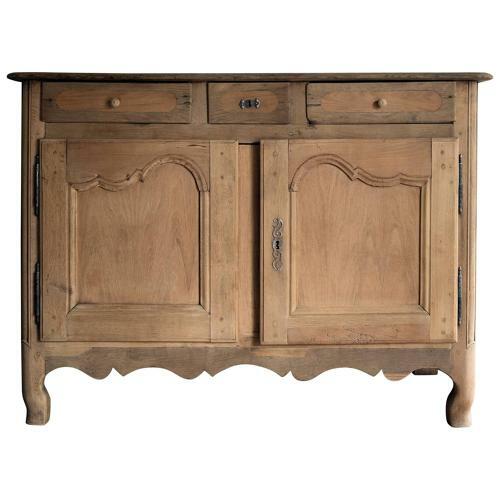 A simple and elegant bleached oak buffet, the doors with elegant restrained Louis XV carvings. Several areas of small replacements, but only adding to the rustic charme of the piece..
H 40.16 in. x W 55.12 in. x D 25.2 in.